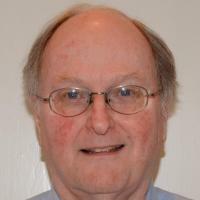 Research Description: Acoustics has been the common thread connecting Prof. Lawson's various research interests, which have included phonon scattering in solid helium-4, zero sound propagation in normal and superfluid phases of liquid helium-3, restoration of human hearing through direct electrical stimulation of the inner ear and brainstem, the psychophysics of music perception, and musical acoustics. Buss, E; Pillsbury, HC; Buchman, CA; Pillsbury, CH; Clark, MS; Haynes, DS; Labadie, RF; Amberg, S; Roland, PS; Kruger, P; Novak, MA; Wirth, JA; Black, JM; Peters, R; Lake, J; Wackym, PA; Firszt, JB; Wilson, BS; Lawson, DT; Schatzer, R; D'Haese, PSC; Barco, AL, Multicenter U.S. bilateral MED-EL cochlear implantation study: speech perception over the first year of use., Ear and Hearing, vol. 29 no. 1 (January, 2008), pp. 20-32 [doi] [abs]. Wilson, BS; Schatzer, R; Lopez-Poveda, EA; Sun, X; Lawson, DT; Wolford, RD, Two new directions in speech processor design for cochlear implants, Ear and Hearing, vol. 26 no. 4 (August, 2005), pp. 73S-81S , [doi] [abs]. BS Wilson, DT Lawson, JM Muller, RS Tyler, J Kiefer, Cochlear implants: some likely next steps., Annual review of biomedical engineering, United States, vol. 5 (2003), pp. 207-49 [abs]. DT Lawson, BS Wilson, M Zerbi, C van den Honert, CC Finley, JC Farmer, JT McElveen, PA Roush, Bilateral cochlear implants controlled by a single speech processor., The American journal of otology, UNITED STATES, vol. 19 no. 6 (November, 1998), pp. 758-61 [abs]. BS Wilson, S Rebscher, FG Zeng, RV Shannon, GE Loeb, DT Lawson, M Zerbi, Design for an inexpensive but effective cochlear implant., Otolaryngology--head and neck surgery : official journal of American Academy of Otolaryngology-Head and Neck Surgery, UNITED STATES, vol. 118 no. 2 (February, 1998), pp. 235-41 [abs]. Wilson, BS; Finley, CC; Lawson, DT; Zerbi, M, Temporal representations with cochlear implants., The American journal of otology, vol. 18 no. 6 Suppl (November, 1997), pp. S30-S34  [abs]. DT Lawson, BS Wilson, CC Finley, M Zerbi, LA Cartee, PA Roush, JC Farmer, DL Tucci, Cochlear implant studies at Research Triangle Institute and Duke University Medical Center., Scandinavian audiology. Supplementum, DENMARK, vol. 46 (1997), pp. 50-64 [abs]. Acoustics has been the common thread connecting Prof. Lawson's various research interests, which have included phonon scattering in solid helium-4, zero sound propagation in normal and superfluid phases of liquid helium-3, restoration of human hearing through direct electrical stimulation of the inner ear and brainstem, the psychophysics of music perception, and musical and architectural acoustics.